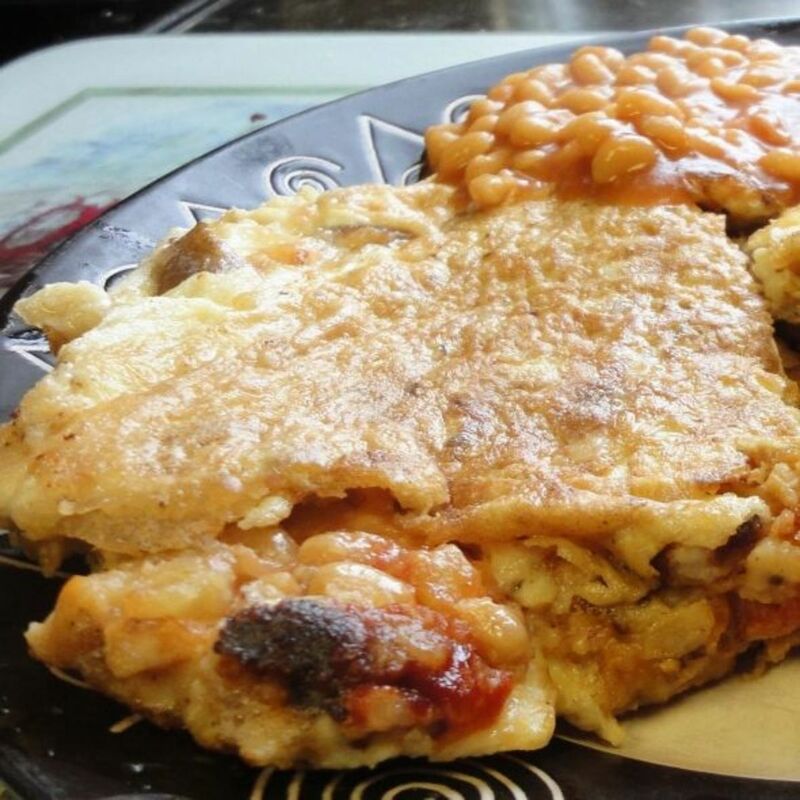 When it comes to breakfast omelets are a very popular dish around the world. 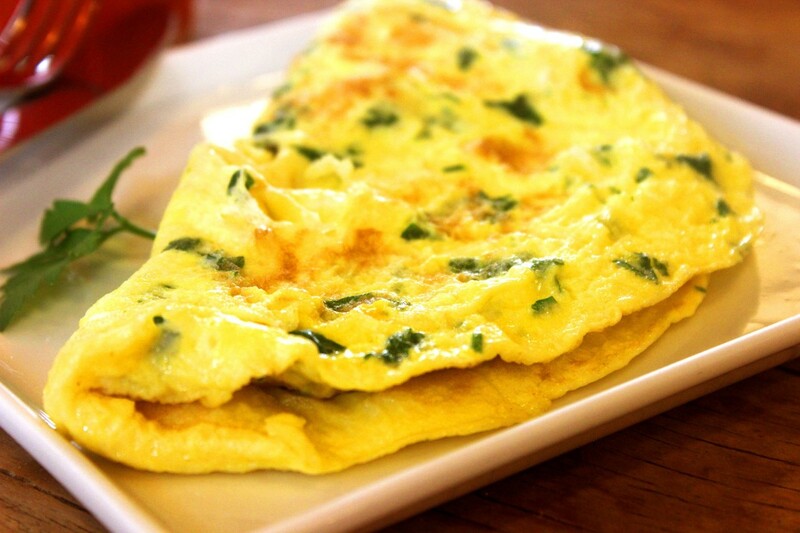 With so many ingredients that can be added inside an omelet there are endless varieties of omelets that can be prepared. One such ingredient is leek. 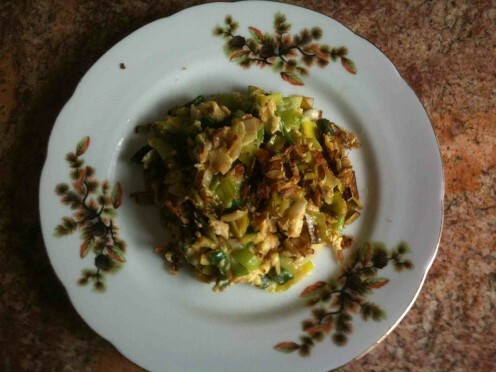 If you love leek you will enjoy this delicious leek omelet recipe. 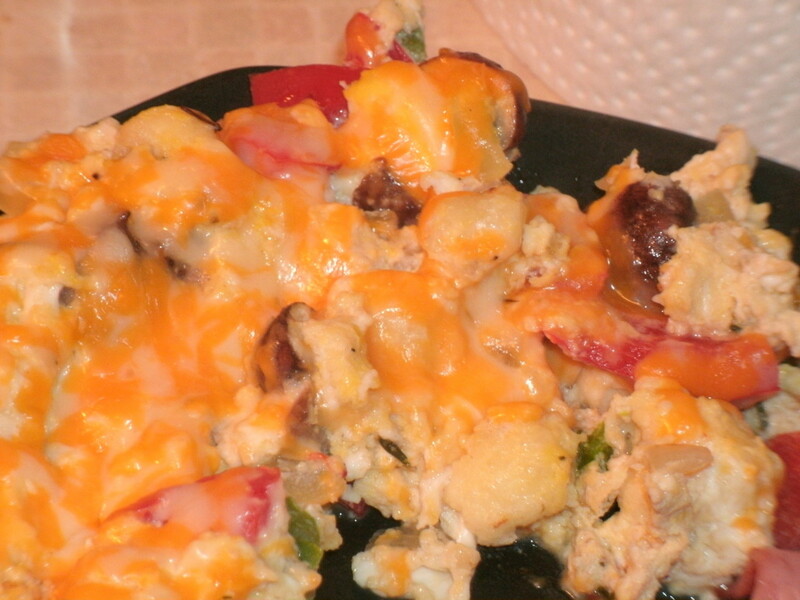 Very few ingredients and a short amount of time is all that's required to prepare this breakfast dish. 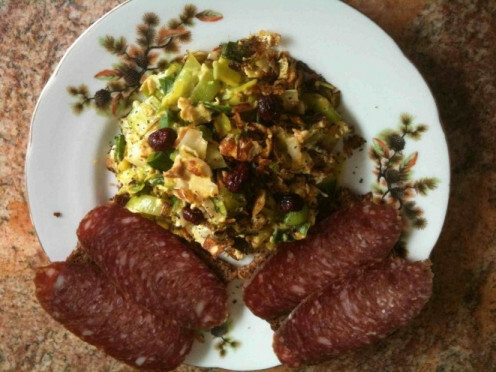 Once you prepare this leek omelet you can enjoy it by itself or you can eat it with toasted bread and slices of your favorite salami. You can even add a pickle, a tomato, or some radishes on the side. 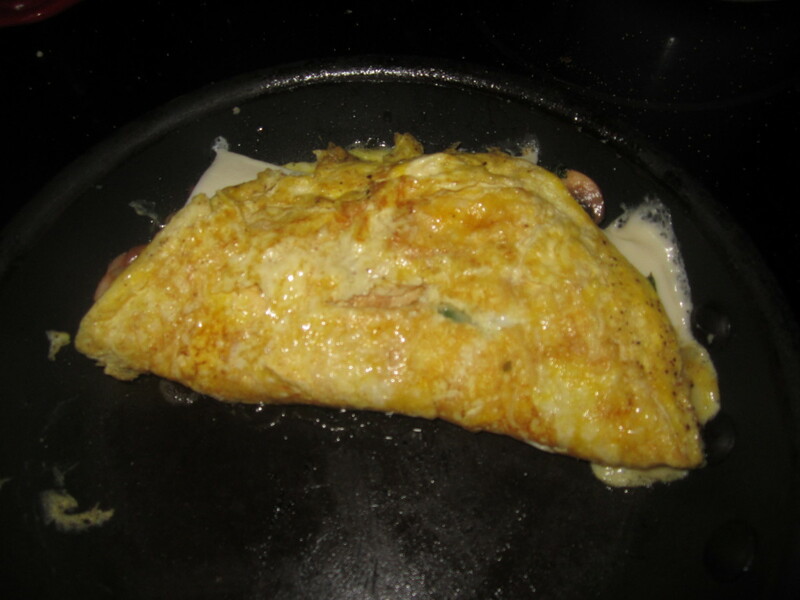 No matter how you eat your omelet you are going to love it either way. So far, everyone that tried it loved it. 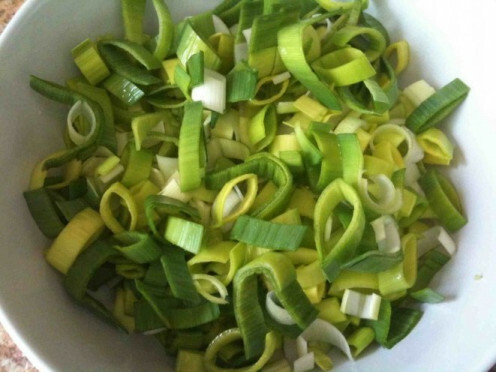 Cut leek in half separating the green part from the white. 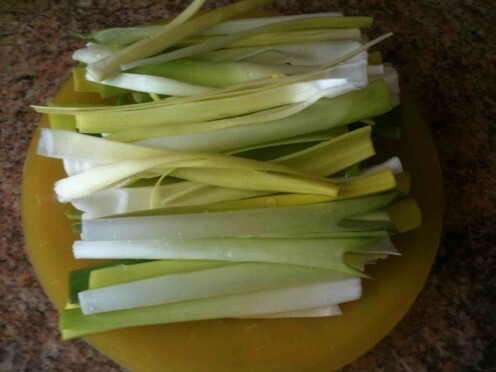 Then cut the white part of the leek vertically. Separate each stalk (green and white) and cut into slices. Then place the leek into a colander (or a bowl) and thoroughly wash under running water. Make sure no dirt or sand is left on the leek. Put a skillet on medium heat and add canola oil (or other cooking oil). Once the skillet is heated add the sliced leek and fry for about eight minutes. While the leek is cooking crack two eggs into a bowl, add salt if desired, and beat. When the leek is done cooking pour the beaten egg onto the skillet. 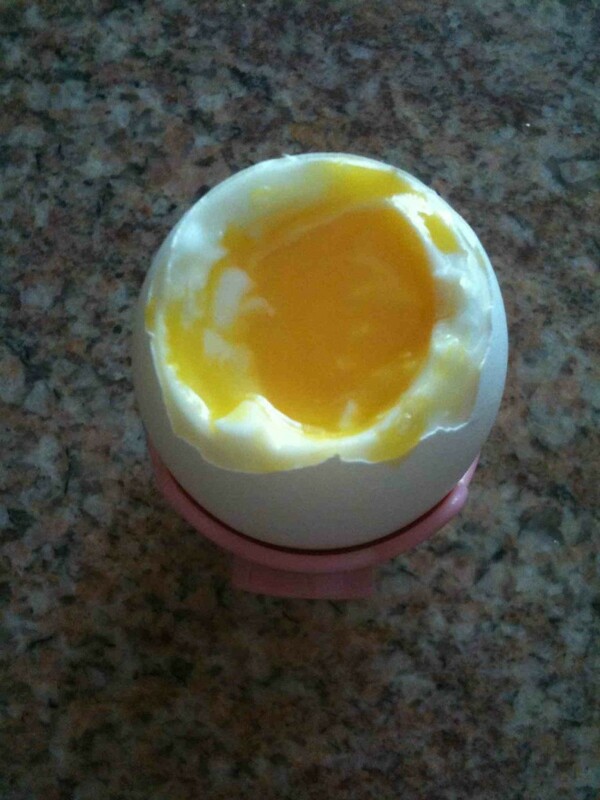 Cook for a few minutes and then flip the contents on the other side. You can also just turn everything with a spatula. Once about four minutes passes or you see that the omelet is done turn off the heat and remove the omelet onto a plate. Garnish the omelet with dried basil and some dried cranberries. 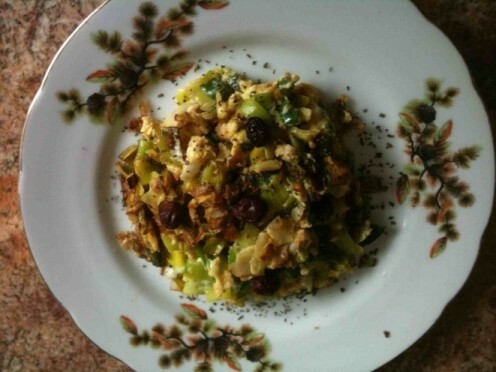 You can now enjoy your leek omelet. What I love to do is mash an avocado in a bowl and then crack an egg or two onto the avocado and beat everything well and then pour it onto the fried leek and cook. Sometimes I even add dried cranberries to the egg/avocado mixture as well before cooking instead of just garnishing with the dried cranberries when the omelet is done. Doing so brings out more flavor in the omelet. 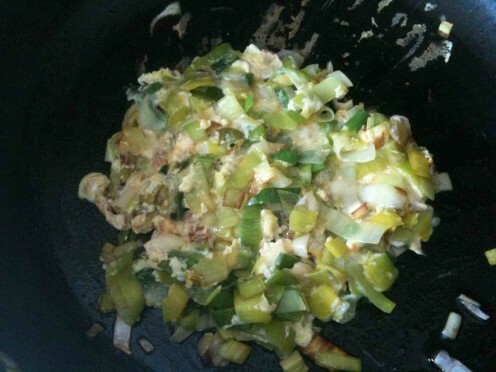 Besides leek what are some of your favorite ingredients to put inside an omelet? Please share them in the comments below. 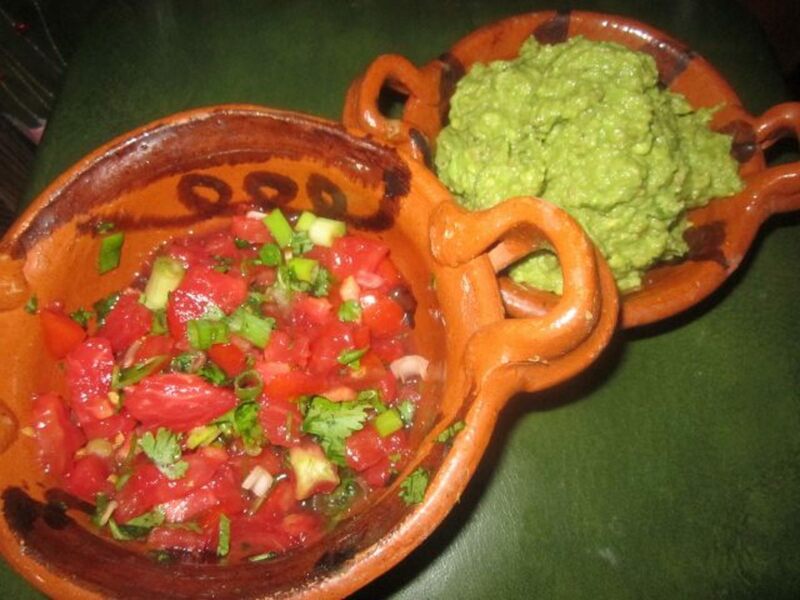 Avocados are exotic fruits that have many health benefits and are widely used in salads, sandwiches, and other recipes. Thanks Deborah. Hope you give this a try.